Glaucoma is an eye disease that can rob you of your vision. 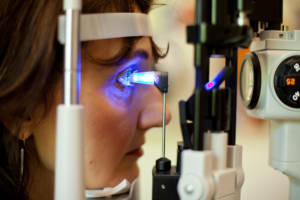 Fortunately, Dr. Doolen can diagnose and treat glaucoma to stop further vision loss. Glaucoma involves damage to the optic nerve, which transmits messages about the images your eye sees to your brain. Usually this damage occurs as the result of fluid buildup in the front part of your eye. Fluid normally drains out of a tiny hole near the iris, or colored portion, of your eye to maintain healthy pressure within your eye. Excess fluid increases pressure on the inside of your eye, and this increased pressure can damage the delicate tissue of the optic nerve. There are two main types of glaucoma. Primary open-angle glaucoma is the most common type. It develops when your eye does not drain fluid properly. Closed-angle glaucoma, also known as narrow-angle glaucoma, occurs when the iris blocks the drainage hole. Anyone can develop glaucoma but the condition is more common in adults over the age of 60. Individuals with diabetes, severe nearsightedness, or have family members diagnosed with glaucoma are at greater risk for developing the disease. More than an estimated 3 million people in the United States have glaucoma, but only about half of them know they have this sight-robbing disease. This is because glaucoma often presents very subtle symptoms – or no symptoms at all – until the optic nerve has sustained significant damage. The best way to protect your sight is to undergo testing with an optometrist and, if you have glaucoma, start treatment immediately. Glaucoma is not curable, which means treatment cannot restore lost vision. Glaucoma management and treatment can stop further damage to your optic nerve and halt vision loss. Glaucoma management starts with a comprehensive evaluation that includes an eye examination. 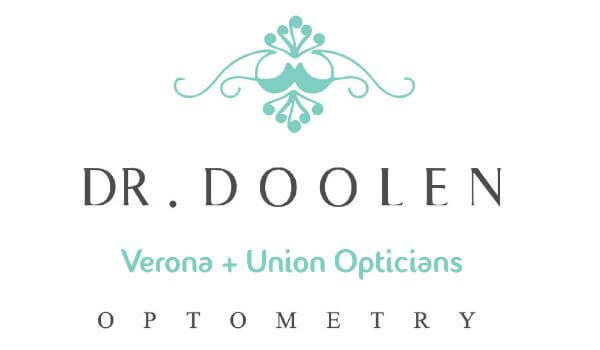 Dr. Doolen performs one or more tests to detect and diagnose glaucoma. These tests involve measuring pressure inside the eyes, visualization of the optic nerve through dilated pupils and performing a visual field (peripheral vision test). Depending on its cause, glaucoma management and treatment usually involves medicine and sometimes surgery. Daily eye drops lower fluid pressure inside the eye in patients with open-angle glaucoma. These medications work either by causing the eye to produce less fluid or by helping fluid drain from the eye. Patients must take glaucoma medications regularly to effectively protect their optic nerves. Surgery may be necessary in some cases of glaucoma if the daily eye drops do not reduce the eye pressure enough to keep the optic nerve from continued damage.